Charissa and Andrew wanted to officially launch their business as a married photographer duo, rather than solely working under Charissa’s name as they had up until this point. 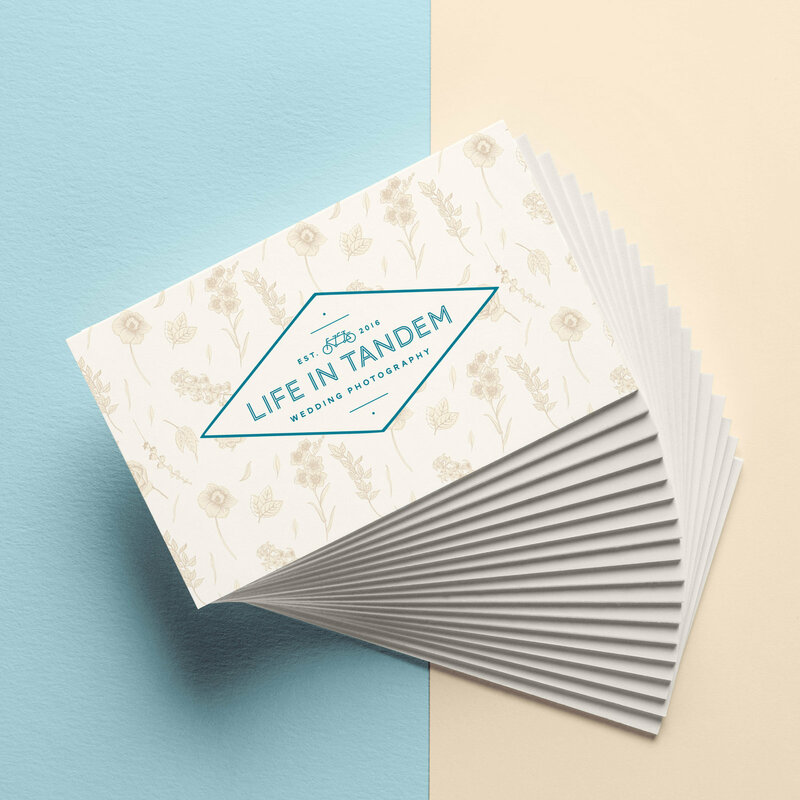 They chose the name “Life in Tandem” to reflect their passion regarding living and working together in unity as a married couple and encouraging other couples to do the same. The tandem bicycle perfectly represents their brand name as well as their philosophy, with a nod to their slightly vintage aesthetic. A rich, fall color palette also reflects this aesthetic as well as highlighting the passion that they bring to their work. The use of an inline font in their logo further cements the idea of two working together in harmony.